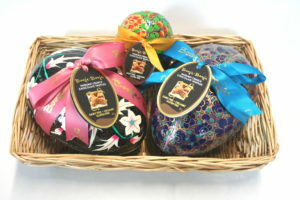 With Easter comes chocolate, and this year, Chocolate Fayre have the largest range we’ve ever had of vegan suitable eggs! Not only are they vegan suitable, but they are also all dairy/lactose free, gluten free and soya free, meaning even more of you can enjoy your seasonal spring goodies without worry. First up, we have the Booja Booja range. These look fabulous even before you open one. 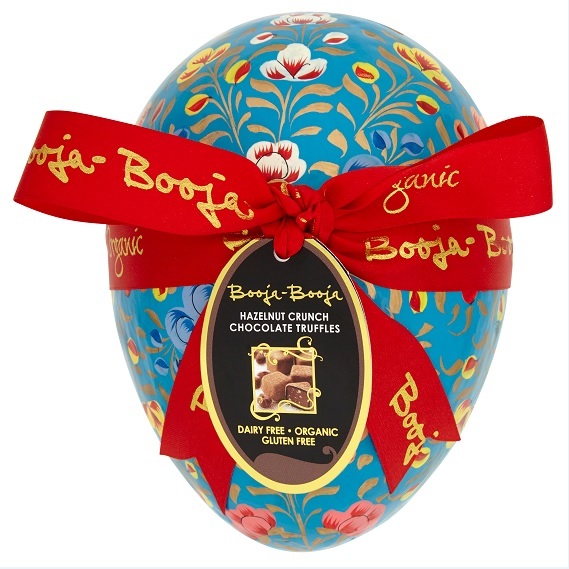 Comprising of handmade and intricately decorated papier-mâché card shells, inside each are stuffed with decadently delicious Booja Booja truffles. This year we have three varieties of egg: Marc de Champagne, Almond and Sea Salted Caramel, and Hazelnut Crunch, giving you plenty of choice. 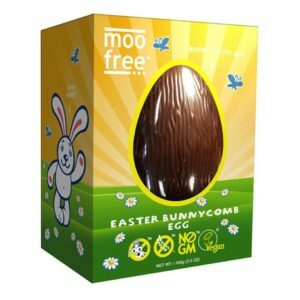 If you are looking to give an egg to a youngster who has similar dietary requirements, then the Moo Free eggs are perfect. Also free from dairy, gluten and soya, these come in a number of varieties as well. The regular egg, comes with chocolate buttons inside. The Bunnycomb egg has a honeycomb flavoured chocolate egg shell. Meanwhile, new for this year is the salted caramel egg, made from oragnic, single origin chocolate, and flavoured with salted caramel, this is their best egg yet!